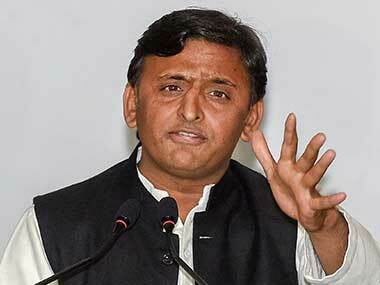 Lucknow: An FIR has been lodged against eight engineers of the state irrigation department in connection with alleged financial anomalies in the Gomti riverfront project, a pet initiative of former chief minister Akhilesh Yadav. The FIR was lodged at Gomti Nagar police station on Monday night, hours after the state government made clear on Monday that it will "not hesitate" in registering complaint against officials involved in committing financial anomalies in the Rs 1,513 crore project. Notably, Chief Minister Yogi Adityanath had order a high-level probe during a review meeting on 1 April after it was found that only 60 percent work on the project was completed even as 90 percent of the funds were exhausted. "An FIR was registered against eight engineers of irrigation department late on Monday night for their alleged role in anomalies during the execution of the Gomti riverfront project. The FIR was filed by an executive engineer of Sharda Project at Gomti Nagar police station for misappropriation of funds and other financial anomalies," Circle Officer of Gomti Nagar, Satyasen, said. He said the officials against whom FIRs were lodged, were posted as chief engineers and superintendent engineers. 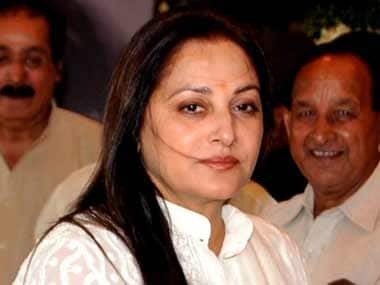 "Case has been lodged under various sections of the IPC and Prevention of Corruption Act for committing financial anomalies and misappropriation of funds," Satyasen said. SHO of Gomti Nagar, Sujit Dubey, said the officials against whom FIR has been lodged will be arrested soon. "We are collecting evidence against them," he added. On Monday, Uttar Pradesh urban development minister Girish Kumar Yadav had said, "A few days back, the probe report was submitted to Chief Minister Yogi Adityanath. As far as CBI probe is concerned, all necessary steps will be taken and appropriate action will be initiated." "If there is any need to lodge an FIR, the government will not hesitate in doing so. 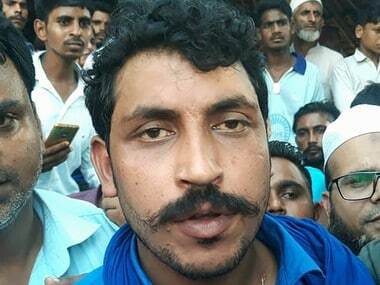 None of the guilty persons will be able to escape the clutches of law and stringent action will be taken against them," Yadav had said. 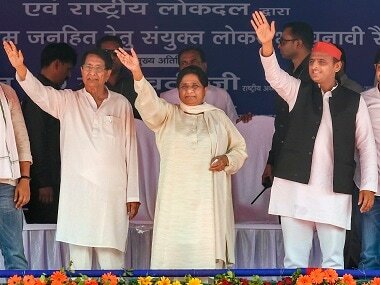 The riverfront has witnessed a political showdown between the erstwhile Samajwadi Party regime in the state and the present Adityanath government. It had become a major issue during the recent Uttar Pradesh Assembly elections. On 1 April, the chief minister had ordered an inquiry by a retired high court judge into the project. He had instructed chief secretary Rahul Bhatnagar to constitute a committee and also directed for submission of the report within 45 days. Adityanath had also directed the urban development minister and the irrigation minister Dharmpal Singh to monitor the development work at the Gomti riverfront. During the meeting, officials had told the chief minister that of the total allocation of Rs 1,513 crore, 95 percent of the budget, which comes to around Rs 1,435 crore had already been spent, while only 60 percent of the work could be completed. Adityanath had directed the officials to ensure that no effluent should flow in Gomti river and ordered expeditious diversion of drains releasing effluents and polluted water in it. 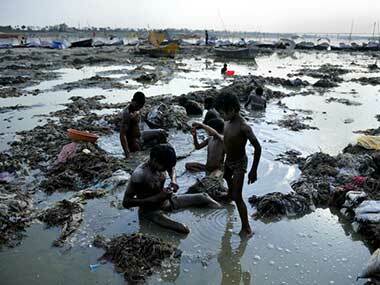 He had remarked that till the time the river water becomes pollution-free, its beautification would hold no meaning. He had also expressed his unhappiness that the river water was so much polluted that it was very difficult to even stand at the river front and said, "In such a scenario, a fountain on Gomti river was useless." Gomti river, meandering through the 940-kilometre stretch of rich alluvial plains of Uttar Pradesh, is polluted by industrial effluents and domestic discharge. The river becomes more of a flowing dumping yard for the 15 smaller and bigger towns, including Lakhimpur Kheri, Sitapur, Lucknow, Sultanpur and Jaunpur, in its catchment area. The major sources of pollution in the Gomti are industrial waste from sugar factories and distilleries and sewage from habitations.